If you caught a glimpse of Minnesota Senator Amy Klobuchar’s campaign rollout on Sunday, you’ll fully understand why the National Speakers Association is holding its winter conference here in Orlando, Florida. Kudos to Klobuchar and the crowd for showing up and sticking around for her presidential announcement, but that rally looked like absolutely zero fun. As I look at my window this morning it’s a bit overcast, but we’re currently sitting in the mid-70’s and expecting sun for the remainder of the week. And that’s just one of the reasons you should head down this way for NSA’s 2018 Winter Conference. Weather-centric motivators aside, this year’s theme, Marketing Evolution, is geared toward enriching attendees with the skills and techniques to effectively market as a speaker in 2019. Times have changed, technology has evolved, and so should your branded outreach. That’s another reason to join PR/PR in Orlando. As always, this three-day event (February 15 – 17) will be jam-packed with beneficial breakout sessions, general sessions with top-tier speakers, and networking opportunities to enhance your reach. Yep, one more reason. So you’ve decided you’re heading to the Renaissance Orlando to attend NSA—need one final reason? Russell will be working the booth! Be sure to swing by and talk shop with PR/PR’s President. Or feel free to talk vintage Cadillacs—he enjoys that, too.  PR/PR will be onsite Friday – Sunday, so be sure to come say hello.